Home / Joseph Matthew / Music / News / Joseph Matthew is set to drop a new single Titled ''Nyame ye "
Joseph Matthew is set to drop a new single Titled ''Nyame ye "
Known for his sonorous voice and creative videos, UK based Ghanaian Afro Gospel Singer Joseph Matthew is coming out with a follow up Single titled “Nyame Ye'' to his chart-topping “Hallelujah ’’ which has been on trend. 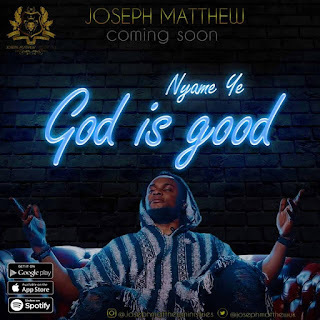 This new track is titled “Nyame Ye (God Is So Good)” and according to teasers on social media, the song is to be release on 14th of April 2019. He revealed this on his Instagram page that the single would be released soon.